I know it is wrong to relate reviews with emotions, but I write this review with so much anger. I have been banking with this bank since I was a child. 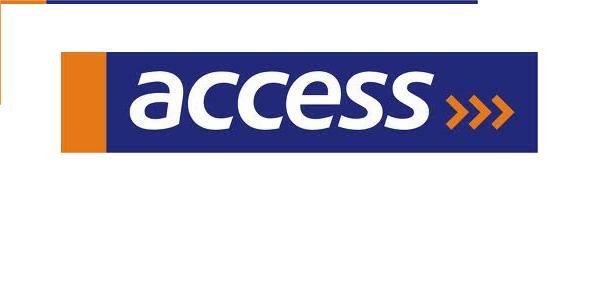 I started with their smart kids save account, and now, few years later, I am considering closing my account because of the incompetence of their Idi-Araba branch staff. My ATM expired on the 30th of December 2013, and since I knew how stressful it would be doing transactions over the counter, I decided to renew earlier, on the 12th of December. I filled the form, and asked them not to deactivate the other card since I wasn’t sure when the new one would be ready. I had totally forgotten about the card issue, until my card was blocked on the 31st and I couldn’t do anything with it. I started my ATM Card Journey oh. I went on the 4th of January to ask about my card and after waiting patiently for about 2 hours, one of their rude customer care attendants told me it wasn’t ready. The thing is, I asked for the card since the 12th of December, HOW COME IT’S STILL NOT READY?!? She then asked me to come the next day, which I did, only to be told again that they couldn’t find my details and they would have to use the whole day to search for it. They asked me to come the next day. Let me also add that all these days, I had been missing classes oh, but still, I really needed my card, so I decided to just forfeit classes. I got to the bank yet again, only to be told that my card had been transferred to another branch i had never heard of. I was just tired of everything, so I got up and just asked when they wanted me back. She asked me to come the next day and i also had to write a letter requesting for my card to be transferred back. I got back to the bank, and asked for this SAME card, and she started giving me stories about how they brought the card but there was nobody “on seat” to pick it up, blah blah.. My opinion, full-blown INCOMPETENCE. I didn’t even bother, i just told her i was coming the next day and i expected the card to be ready. The banking hall became my second room oh! I still went the next day and I was given my card. I was just too happy and excited this ordeal was over. I was about to leave the bank when the rep told me I had to collect the pin from one other guy in the bank. We both went over to meet pin guy, and the only crap he could tell me was that the bank transferred the card without the pin slip. I couldn’t contain my anger. i literally screamed and just walked out. They promised to call. I have been chilling for their call, no call yet. Let me also add that they have the BEST security service; welcoming and super friendly. Anyway, I have made up my mind. I’m closing this account. This is definitely not a good way to start the new year. Yaay. Finally Got my card today after all the stress . The customer service lady apologised . *whispers* I guess they read my review . Lool. I always hate it when my card expires . Sorry . I feel your pain though . Access Bank and their rude customer care peeps. I’ve had the same experience , the same branch, its tiring . Didn’t deactivate the acct tho, its current .